Don’t know how I got to this one – well actually, I was searching for a Salomon Kalou goal to show you, but while roaming the youtube pages came across this wonderful strike from Sunday Oliseh. The occassion – A group match between Nigeria and Spain in the 1998 World Cup. Oliseh’s goal seemed to come out of nowhere, with Spain’s goalkeeper Andoni Zubizarreta being caught completely off guard. The goal also gave Nigeria the win 3-2. 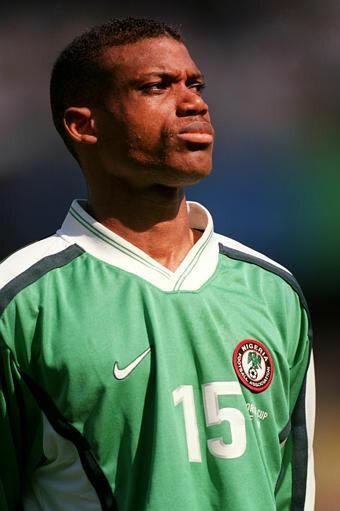 Oliseh retired from football exactly four years ago after 18 years of European football, playing (among other clubs) for Juventus, Ajax and Dortmund.